Nap's had the privilege of working with one of the premier luxury hideaways in the country, The Willows Historic Palm Springs Inn to design a one-of-a-kind key fob that represents the beauty and elegance of the historic hotel. This key fab is made of .040” thick brass, and is cut using pin-point laser engraving, which creates a clean, detailed, darkened image to meet the specifications of The Willows. 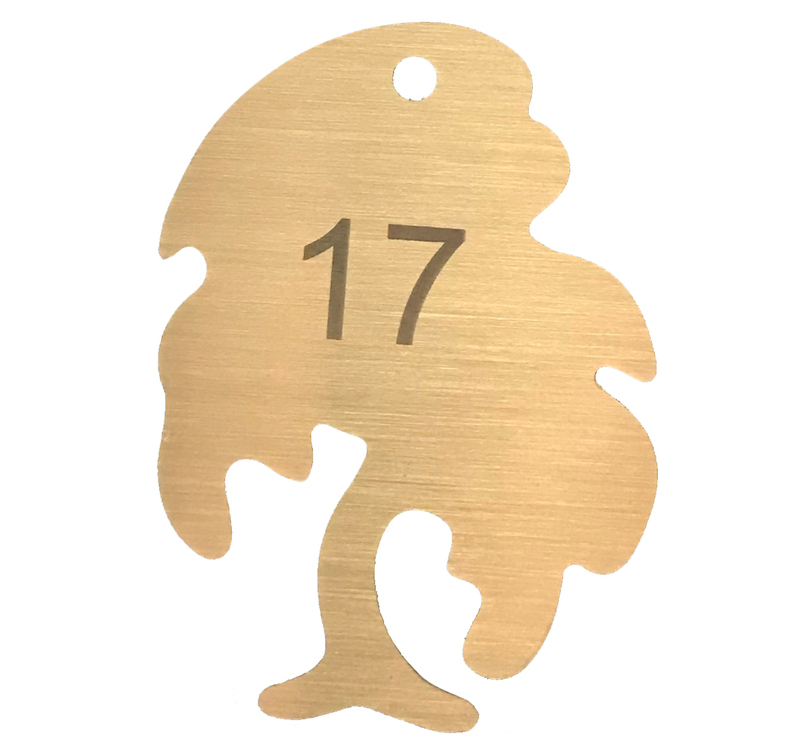 The fab itself is designed to match the logo of the hotel, and has room numbers engraved on each of the brass fobs. Learn more about our engraved metal products we have available for customization here!